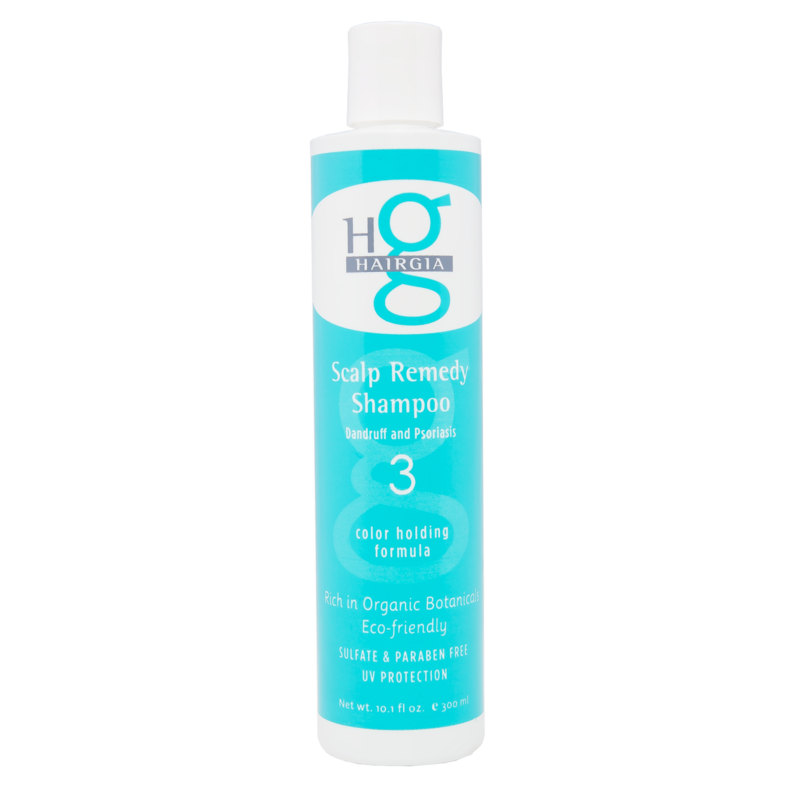 Scalp Remedy shampoo is the ultimate remedy for treating a dry, itchy, and flaky scalp. The gentle cleansers and natural, sulfate-free ingredients help ease dandruff and heal the scalp. The gentle conditioners leave hair soft, manageable, and flake-free. Scalp Remedy Shampoo is specially made to ease an itchy scalp and eliminate flakiness associated with dandruff. Filled with natural botanicals such as evening primrose and rosemary, Scalp Remedy Shampoo treats dandruff to restore the health of your scalp and hair. DIRECTIONS: Apply Scalp Remedy Shampoo to wet hair. Massage into hair and scalp. Leave on hair 2-3 minutes. Rinse well, repeat if necessary. For best results, use at least 2-3 times a week or as directed by a doctor. For external use only. Avoid contact with eyes. If contact occurs rinse thoroughly with water. If condition worsens or does not improve after regular use consult a doctor. Not for use on children under 2 years of age except as directed by a doctor. Follow Scalp Remedy Shampoo with one of our hydrating conditioners and all-natural styling products for optimal hair and scalp health. 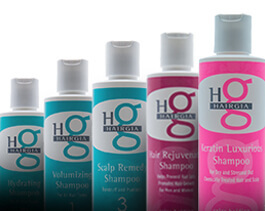 Our HairGia family is deeply committed to producing the highest quality hair care products using some of the best ingredients nature has to offer. We personally test each of our products to make sure we are providing our customers with only the best in hair care. Our shampoos, conditioners, and styling products are rich in natural botanicals, sulfate-free, and Earth-friendly. If you have feedback, questions, comments, or concerns, please contact us online. We’d love to hear from you! Excellent product! I have searched high and low for a shampoo that helps with seborrheic dermatitis on my scalp. I’ve tried products based in ketoconazole, salicylic acid, coal tar, you name it. I’m sensitive to sulfates, which most of these shampoos use as a foaming agent, so they usually make the condition worse. I’ve been using HairGia’s Scalp Remedy shampoo for about three weeks now and have only good things to report. It helps immediately relieve redness and flakes on the scalp and it doesn’t dry out hair like many other medicated shampoos. In addition, the smell is pleasant so there’s no need to cover it up with a conditioner. I highly recommend this to anyone with seborrheic dermatitis who’s had no luck with prescription shampoos. I love this product line. I was introduced to it at a beauty supply shop when looking for a scalp shampoo that without sulfates for my curly hair. I always end up with something “natural” that smells terrible and I am so happy to have found Hairgia. It leaves my hair and scalp moisturized and clean. Was glad to find the line for order directly from the manufacturer. Thank you so much for this quality product and my soft hair! Three months after giving birth to my daughter my hair began falling out rapidly. But along with the severe hair loss came sores, pimples, and itchy, flaky patches on my scalp that got worse and worse as more hair came out. I found myself picking and scratching my head throughout the day and especially at night when all the oil and dirt build-up made the irritation even worse. It was extremely embarrassing and I tried in vain to style my hair to hide the growing number of bright red sores, but the problem only worsened with time. I was fortunate that my mother took me to visit her stylist and I swallowed my pride long enough to confess the problems I’d been having with my hair and scalp. They walked me over to this product and told me I had to get it. The price was so reasonable I figured “Why not?” In retrospect, it was the best advice I ever took. I washed my hair the next morning and realized by that evening, to my astonishment, I hadn’t once touched my hair during the day. Not one itch, not one dry spot, not one irritated sore, nothing! I’ve been using the product for almost 3 weeks now and every single ugly red sore and flaky patch of skin is gone. When I run my hands through my wonderfully soft and shiny hair I can’t feel a single spot of irritation, or the urge to pick and scratch like I used to. 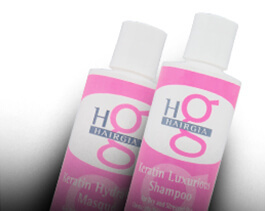 Thank you HAIRGIA for making such a wonderful product! You’ve earned a lifetime customer from here on out.